Our Short Reset System for the HK USP and HK45 replicates the short reset conversion available in our in-house custom action work. Cut from bar stock steel, these kits provide an exacting fit for easy install. The kit shortens the reset travel distance by about one-third, reduces trigger over-travel and reduces pull weight while maintaining all factory safety functions. This kit is specific to the HK USP and HK45 models with or without a thumb safety, including DA/SA and LEM variations. Review our Fit Guide below. The parts provided – control catch, pin and spring – are designed to be installed together as a complete system. 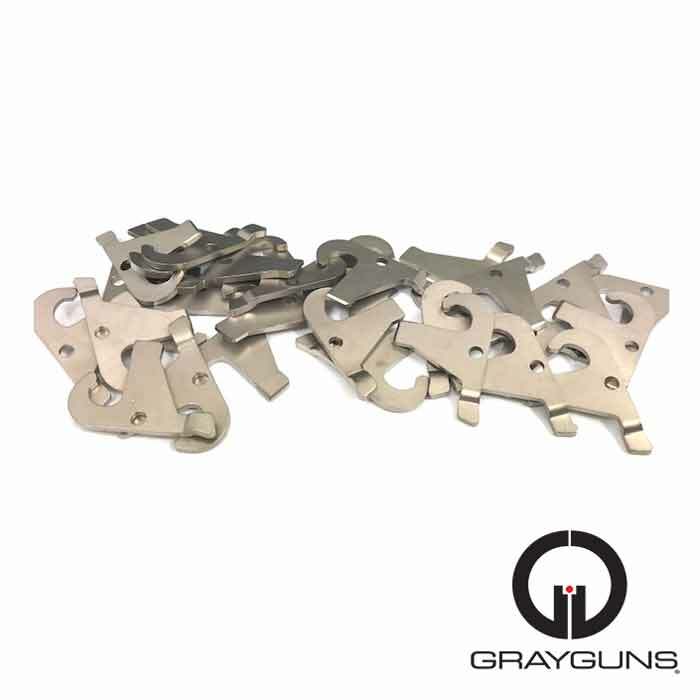 This product from Grayguns replicates the the short reset conversion for HK pistols found in our custom action work in a convenient, easy to install kit. These parts are precisely wire cut EDM from ground bar stock to exacting tolerances for easy install and a precise fit. They are properly heat treated and coated in a durable nickel PTFE finish for a lifetime of durability and smooth function. 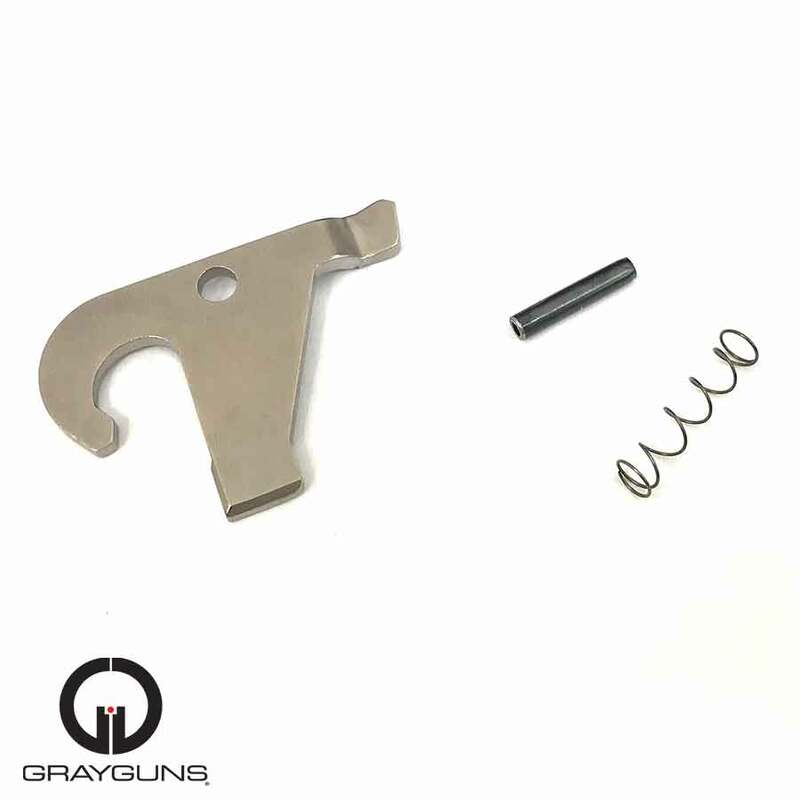 The parts provided – control latch, extended sear roll pin and firing pin block spring – are designed to be installed together as a complete system. The kit works with all variants of the HK USP and HK45 – both DA/SA and LEM variants – with or without a thumb safety. Early USP models with joined one piece catch, control latch or models that have the short catch that stops the hammer rather than spur. These older versions are rare and usually easily identified because they lack the rubber coating on the hammer thumb stud.